Now-a-days Due to Availability and Ease, Many of us building Blogs for Personal or any other Purpose, But making a blog is not a Target as We want Visitors that will Explore our contents or articles. Everyone will Suggest to get or build Backlinks first and Then we will do Search for How to get Backlinks. But In the Process of backlinks, You should opt for Quality ones not Poor backlinks else your Blog will be ruined in Blogging World by Panda and Penguin Systems. We should focus on Quality not Quantity Backlinks for Getting Traffic For Our Blog. Today, I am Giving Out the Things or ways that I applied on Sysberto for Making Backlinks and getting Traffic too. Guest Post is One of The Best Thing to get Backlinks for Our Blog, but Guest Blog should have atleast PR 1-2 and It All Depends How you write and What they Prefer in their Blogs. Be Friendly with All Bloggers and Write Unique articles for Other Blogs that will help you to get Tremendous Traffic with Increased number of Visitors. Just Find Blogs with Suitable Criteria and What Posts can you write on. Contact them via their Contact Us or Submit To Us and parse Good Author Bio with Main Keywords as Anchor text. The guest posts are beneficial to both as Blog Owners get Free and High Quality Articles and In Return you receive high Quality Backlinks and Traffic for your blog and Do Promote your Guest Blog Articles in your Social Circle. Blog Commenting is very easy way to get Backlinks by Just Commenting on other Blogs but Not on all blogs as Some of are using Ultimate No Follow Plugin that makes your Do-Follow link as No-Follow Link. So, If you want to Comment Just Concentrate on Blogs which are using Commentluv or keywordluv Plugin as Comment manager on their Blogs. For Finding Commentluv Enabled Blogs Google it such as: “Tech” Commentluv etc. Again, Don’t put short comments like nice article, good article as Blog owners will not accept these types of comments and your efforts will be waste. Digital Point Forums, FTP Sites Forums etc. Do help on Problems discussed their and After Successful Establishment of your profile you may put Your Blog Link as Signature in that Forum. Just Be careful that don’t flood their or do stupid comments like ok, I will try etc. They will simply BAN You from their. After Following above steps you should now Submit your Blog link in various Blog Directories like DMOZ is Main Directory and You may find different Blog Directories by Searching in Google. Do Submit without Reciprocal links or With Reciprocal Link as per yor choice. As We Discussed above, Internal Linking is Putting our Posts/Articles links in our Different Topics as It also counts as Quality backlinks. Must See: Topic Name So, Users get attention to this topic while reading and It helps a lot. So,Always Do link your all posts while Working in Blog and this will cause Reduced Bounce Rate. We surf different websites on internet, while you may get chance to get backlinks from that sites too. Like Do make Profiles on Flicker | Linkedin | Tumblr | and many Others. You have to just sign-up for Free Account and Fill your Profile with your Blog URL. This is Part of Guest Blogging and Commenting. 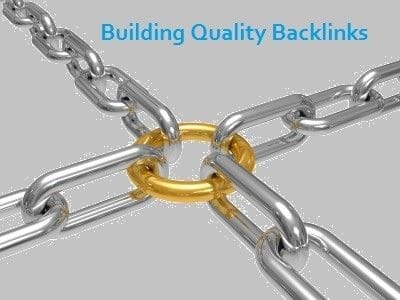 Think if you run a blog on Gadgets reviews or health related articles than Backlinks from That Type of Criteria will help you to Get Better Quality backlinks with Traffic too. By this way,you will get backlinks based on your Keywords and Blog Criteria and you will get Continuous Regular Traffic. These all the tricks helped me to get more Traffic on my blog and made my blog bit Better than Previous.Do Promotion of your blog and get Good backlinks. Don’t go for other tricks like Bl@ck Hat SEO or other Backlinks techniques as they will be ban your Blog from Google forever!